This is the latest video from iBrontosaurus. He is chronicling his transition to 21st century life after recently being unfrozen as a result of global warming. Delayed Reaction: Christian Laettner on the Dream Team? 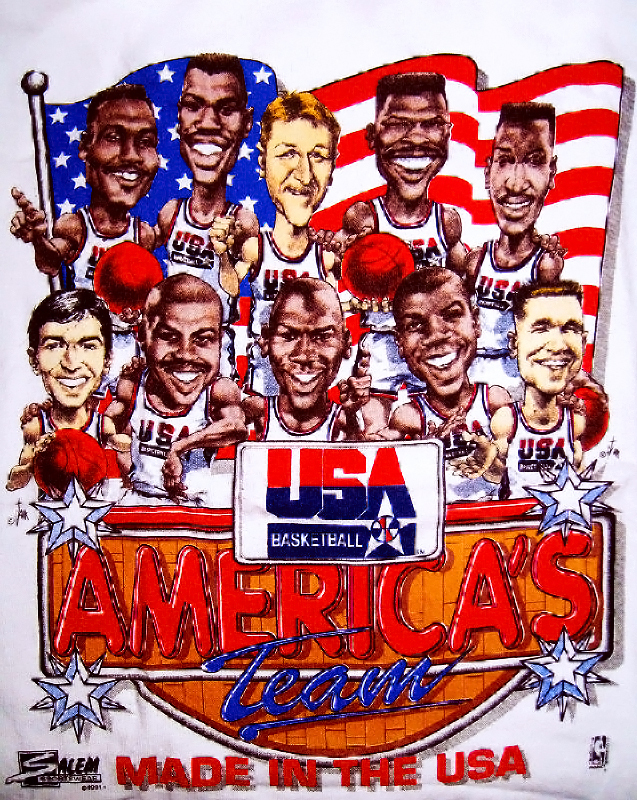 I understand that it has not been 1992 for quite a while (although zubaz are coming back) but I still wish that Christian Laettner would not have been selected to be on the Dream Team. Most people at the time would have been surprised to find out that Laettner would go on to have the incredibly lackluster career that he ended up having but I still regret this decision nonetheless. It is easy for one to look back on things and judge past decisions now that everyone knows how things have played out but I disagreed with Laettner’s selection to the team at the time and I will always regret that it happened. Ultimately, I think he was selected because of the immense fame and publicity he received from making his game winning shot in the NCAA tournament at Duke. Waiting For Next Year has a nice little response for Charles Sparkly (Get it? Because he’s a woman!) after the Round Mound had some disparaging comments about Cleveland, Thursday night before the Cavs’ game on TNT. The Cavaliers lost a big one 105-94 to the Celtics, Friday night in Boston. LeBron had an off night and I don’t think the wine and gold were ready for the Celtic defense. Kind of a shame when we don’t show up against the tougher opponents. Luckily, the Cavs got to bounce back the next night at home against the Miami Heat. LeBron and company took care of business 99-89, with LBJ racking up another triple-double and Big Mo Williams coming through with 29 points. The man can shoot! Sir Charles Barkley, the man-not Jim’s dog, spent the weekend in jail due to a December 31, 2008 DUI arrest. Obviously, he had the star treatment and was separated from all other inmates, with someone bringing his meals to him. He’s already the Round Mound of Rebound, a little exercise probably would have done him good! Sunday on Meet The Press, Sen. Lindsay Graham (R-SC) had this to say about Rush Limbaugh, “He doesn’t play in the Republican Party, he’s not an elected official. ” Thank you Lindsay, for realizing that Rush is nothing but a talking head with no economic power whatsoever, no matter what he and his minions believe. It felt good to hear that scumbag put in his place. Grabbed a copy of Achtung Baby. “One” is among my favorite songs of all time, so, well done on my part. I’m patting myself on the back right now.